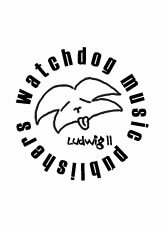 Watchdog Music became a reality when Barbara Littell Bruske and Richard E. Jensen first collaborated on The Complete Band Method Book l .
Our name, Watchdog Music was a natural as we had been using Barb's Lhasa Apso "Ludwig" as our watchdog for checking positions, etc., in the method book. He is such a devoted mascot that we decided his would be a catchy name for our publishing company too.